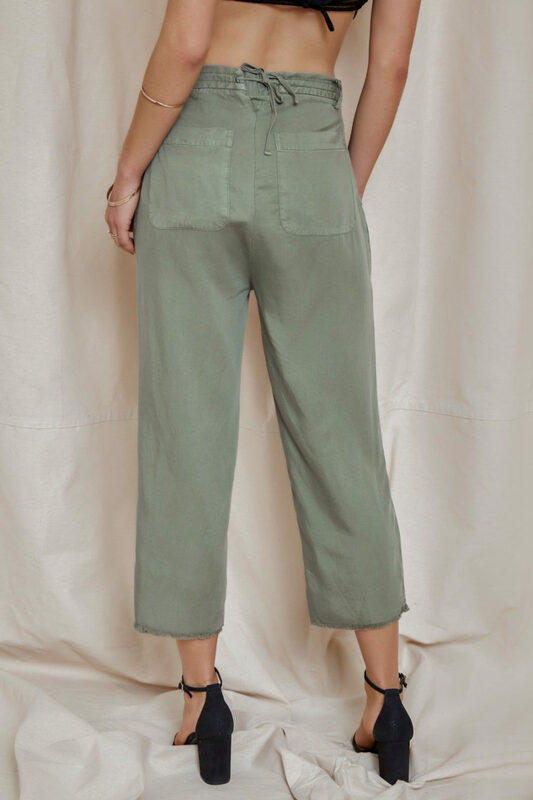 We are loving this lightweight, everyday pant from DL1961! The Lorimer Pants feature a straight leg fit, an easy raw hem, and a tied adjustable back closure! We can’t get enough of the washed green color that is meant to mimic beautiful aquatic plants! These laid back pants are perfect paired with our Cute as Can Be Tee in White and a cute pair of flat sandals! Style this look with one of our favorite trendy hats, the Brixton: Kayla Cap in Natural and some classic gold jewelry, like our South of the Hamptons Bracelet and our fav hoops, the Montecito Sands Hoop Earrings! These pants run slightly large. If between sizes, we recommend sizing down. Model wearing size xsmall in the Lorimer Pants. Megan is 5’9 with 34” Bust, 25” Waist, and 34” Hips.